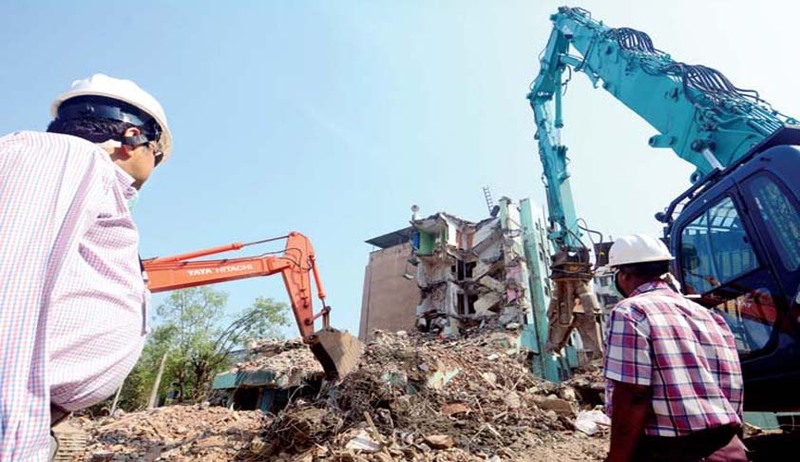 The Vacation Bench of Supreme Court of India has directed Maharashtra government not to demolish buildings in Digha in Navi Mumbai till July 31. “Without expressing any opinion on the merits of the controversy, we direct that till 31st July, 2016, no coercive steps be taken against the petitioners. Thereafter, the respondents will be at liberty to proceed in accordance with law,” said the Bench comprising of Justices AK Goel and L Nageswara Rao. The Bench also made it clear that this order will be without prejudice to any further order, which may be passed by the Bombay High Court. The residents of Digha Village have approached the Supreme Court challenging the Bombay High Court Order in which a Bench comprising of Justices A S Oka and V L Achliya had directed the Maharashtra Industrial Development Corporation and (MIDC) City and Industrial Development Corporation of Maharashtra Limited (CIDCO) to initiate the process of demolition of 99 buildings in village Digha, Navi Mumbai, which have been illegally constructed on the respective lands of the agencies. It is submitted before the Apex Court that the Bombay High Court had ordered to vacate the buildings right before monsoon season which would render them homeless. Counsel appearing for Maharashtra government also supported the stand of residents and said there were 99 buildings in the area in which thousands of people were living.